Sno-Mads of Hayward is one of the oldest snowmobile clubs in the State of Wisconsin dating back to 1965. The purpose and mission of our club has not changed in all those years. Our mission is to maintain safe trails in Northwest Sawyer County with the help of club and business volunteers. We maintain 126 miles of trails in the northwest corner of Sawyer County with trail connections to Washburn, Douglas and Bayfield Counties. 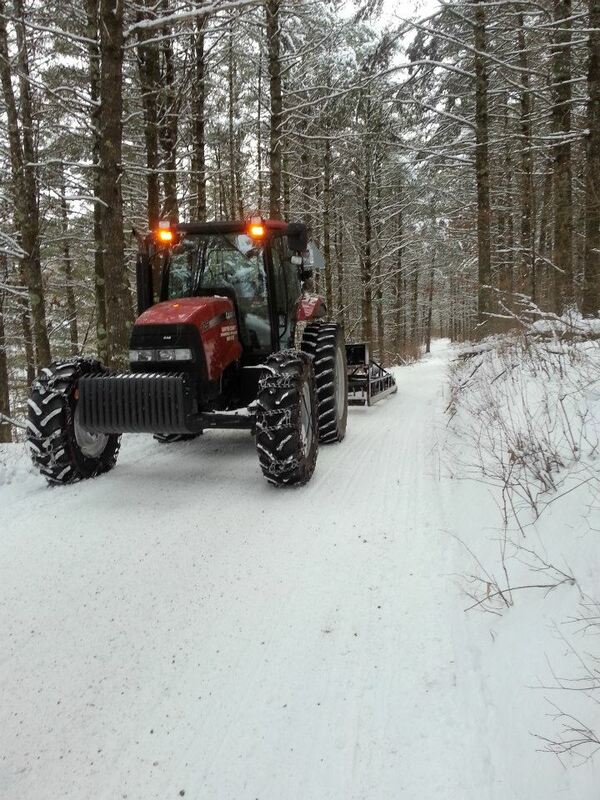 Our member volunteers also help other snowmobile and ATV clubs maintaining trails. We are non-profit and earn our money through fundraising projects. With funds received through fundraising efforts we support youth safety training programs, donate scholarships for advanced education, and support many community events throughout the year. 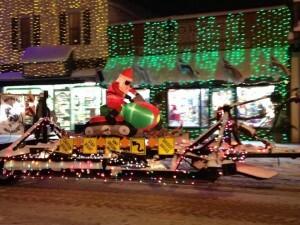 We also support the Hayward Youth Snowmobile Club made up of Hayward High School and Junior High School students. Join Sno-Mads and enjoy riding forest roads and snowmobile trails with no ditch-banging! Sno-Mads rides the trails every Wednesday, leaving from Hayward Power Sports (located on Hwy 77 East of Hayward) at 10:00 am, during the riding season. Everyone is welcome to ride whether a member or not. Just show up and plan to have a fun ride! Overnight destination rides are periodically organized. Sno-Mads current membership is about 45. We meet the second Monday of the month from August through March each year. Membership is open to all ages. Membership covers one person or an entire family for only one annual dues fee of only $25.00. 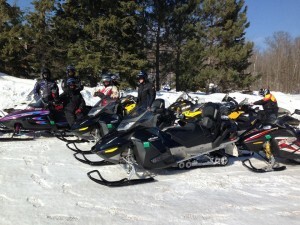 This fee provides you with membership in the AWSC (Association of Wisconsin Snowmobile Clubs). AWSC publishes 6 issues of Wisconsin Snowmobile news annually and also provides, free of charge, a $3000 accidental death and dismemberment insurance policy that provides coverage to all family members. We are privileged that most of our trails go through forests on trails, logging roads, unplowed township roads, and across private lands. Few run roadways and there is almost no ditch riding. Most businesses are located on lakes or rivers. Go North and Northeast from the Town of Hayward, through forests to Bayfield, Ashland, and Iron Counties and through the National Forest. Travel routes are endless. Food and beverage are available most everywhere. Watch your gas because there are few places to get it. Fill often. Go West from the Town of Hayward, through forests to Washburn County. Travel on a trails to the towns of Minong and Trego for food and gas. A full day ride of this loop is approximately 100 miles. Go East from the City of Hayward, through County, Tribal Lands and National forests. Travel destinations are food and beverage businesses located on the many lakes in the area. Watch your gas because there are only a few places to fill up. Go South from the City of Hayward to many lakes, resorts, and restaurants. This route is best for those who do not want to ride long distances but like to enjoy the local scene.